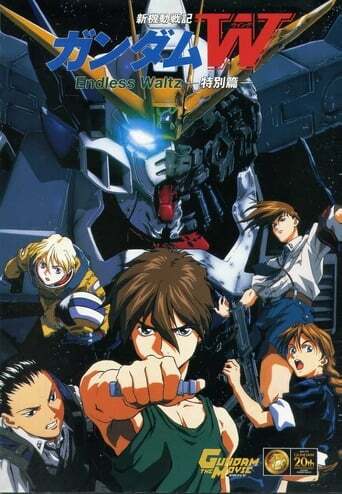 Gundam Wing: Endless Waltz, known in Japan as New Mobile Report Gundam Wing: Endless Waltz, is the sequel to Mobile Suit Gundam Wing, both of which are set in the "After Colony" timeline, an alternate universe to that of the original Mobile Suit Gundam series. Aside from being a continuation to the Gundam Wing TV series, it also reveals details regarding the pasts of the five Gundam pilots and the true objective behind "Operation Meteor." Endless Waltz originally premiered in Japan as a three-part OVA in 1997, and it was later released as a theatrical compilation movie in 1998, including additional scenes and an altered musical score.